We’ve all been there – friends and family across the globe, or across the country, graciously open their arms and homes to us on our travels without asking for anything in return. The least we can do, you think to yourself, is bring them a little something from home to show our gratitude. Preparing for a trip can be hectic, and I often find myself putting off this important shopping trip until the last moment. If you’re like me, have no fear! 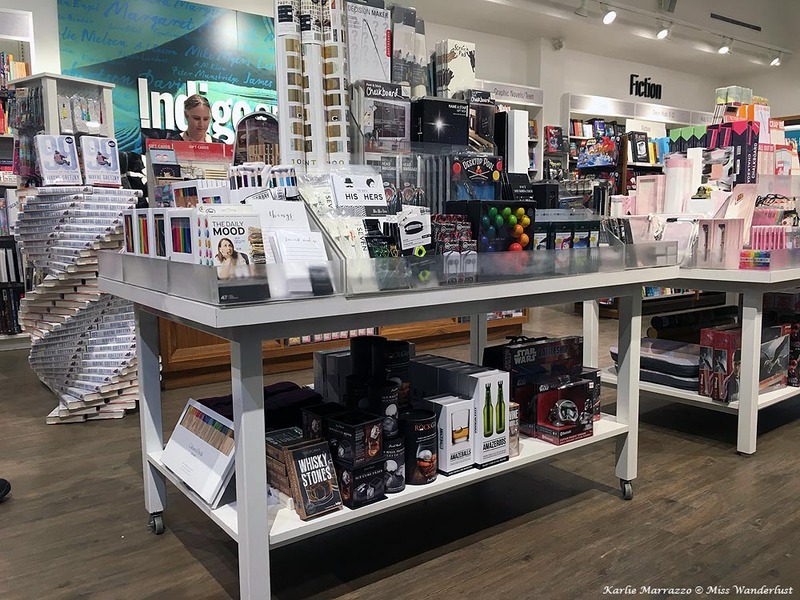 You can pick up tons of great host gifts at the Edmonton International Airport while you’re waiting for your flight. As soon as you pass through security into the departures area, the circular Central Hall – the gateway to shopping and dining at the airport – opens up before you. If you’re lucky, your wait time will coincide with one of the many live music performances that take place in the Central Hall several times a week. The music performance feature local artists – from singer-songwriters to harpists and more – who fill the airport with soothing music for all to enjoy and relax with prior to their flight. On my latest trip to the airport, I wanted to find something for my hosts abroad that represented my city and my country, with a touch of my own personality thrown in. It’s easy to buy postcards, keychains or magnets, but I wanted something a little more unique. My first stop was the Indigo Spirit store, a smaller and more curated version of the mega bookstores that are found across the country. The airport location focuses on books, stationary and small gifts. Bookstores are my happy place and I could have easily spent all of my time in Indigo buying gifts not only for my host, but myself! 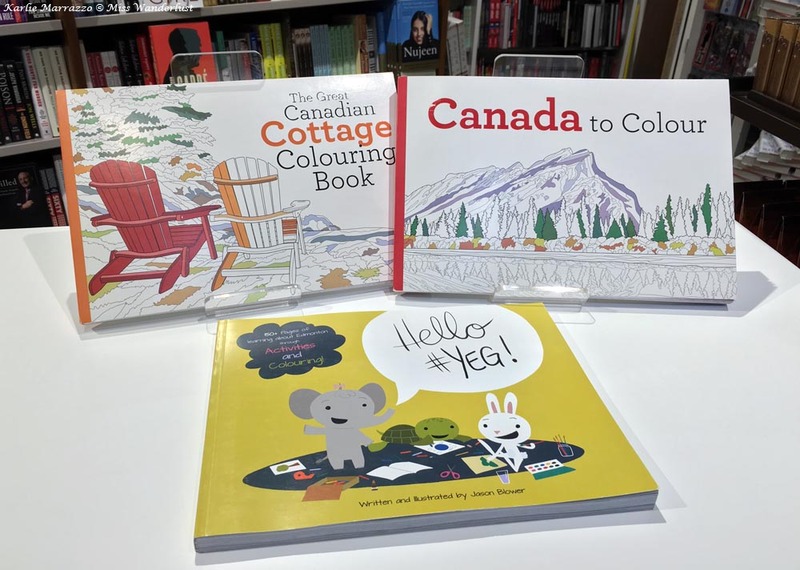 I decided on the delightful Hello YEG* activity book ($25) by one of my favourite local artists, Jason Blower, which was tucked in alongside a few other Canadiana colouring books. For more of a classic host gift I stopped into the recently expanded A Flight of Wine and Spirits to find the perfect bottle of Canadian wine for my hosts. Aside from wines, they offer plenty of hard-to-find whiskies, scotches and unique local concoctions like the Sweet Sippin’ Canadian Maple flavoured whiskey. The glass scotch cabinet, under careful lock and key, even holds a bottle of scotch priced at $38,000! Yes, you read that right and yes, they have sold bottles of it. With my budget being decidedly lower than $38k, I picked up a beautiful bottle of Quail’s Gate chardonnay from British Colombia’s Okanagan Valley for a much more reasonable $30. There may be no Canadian brand that is as ubiquitous as the Hudson’s Bay Company. Their iconic multi stripe design is instantly recognizable and appears on everything from blankets to canoes, winter wear to watches and so much more. The HBC Trading Post in the airport is the perfect spot to pick up classic Canadiana for your international family and friends. 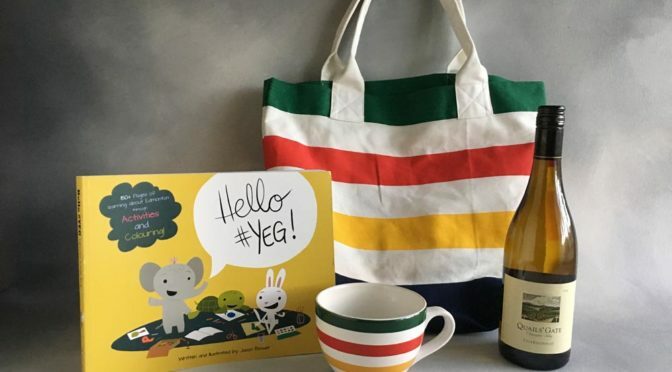 While I wanted to buy some mittens, a toque and a scarf for myself, I chose a classic striped tote ($18) and a big, beautiful breakfast mug ($12) as gifts. Discover Alberta has tons of Albertan gift ideas, from classic souvenirs to nostalgic CBC Radio and Royal Canadian Air Force t-shirts, to all natural, Alberta-made soaps and lotions from my personal favourite, Rocky Mountain Soap Co.
Hudson News, with one location each pre- and post-security, offers up Edmonton t-shirts and souvenirs as well as plenty of Edmonton Oilers gear for the sports fan on your list. Several kiosks dot the departures area, which feature Canadian classics like maple syrup and candies, plus even more for sports fan, including Oilers and Edmonton Eskimos wear. 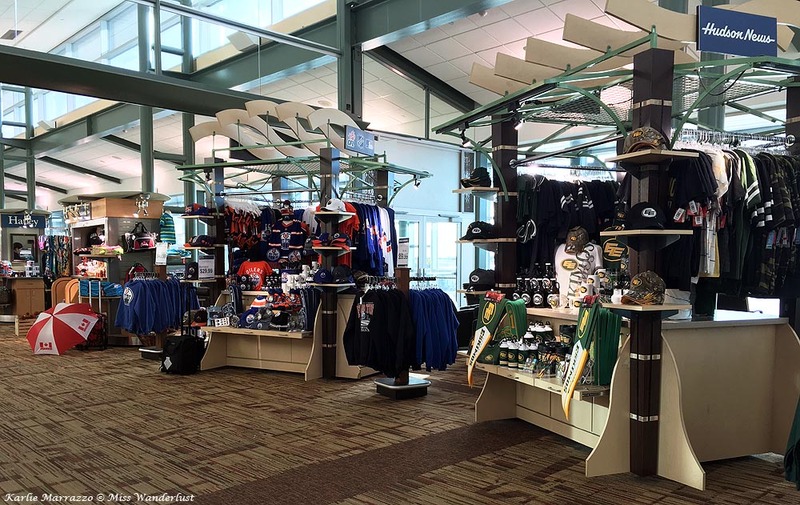 Whether you’re looking for a host gift or want to pick up your own memento from your time in Edmonton, the Edmonton International Airport has something for everyone! *YEG is the airport code, and a nickname for, Edmonton. 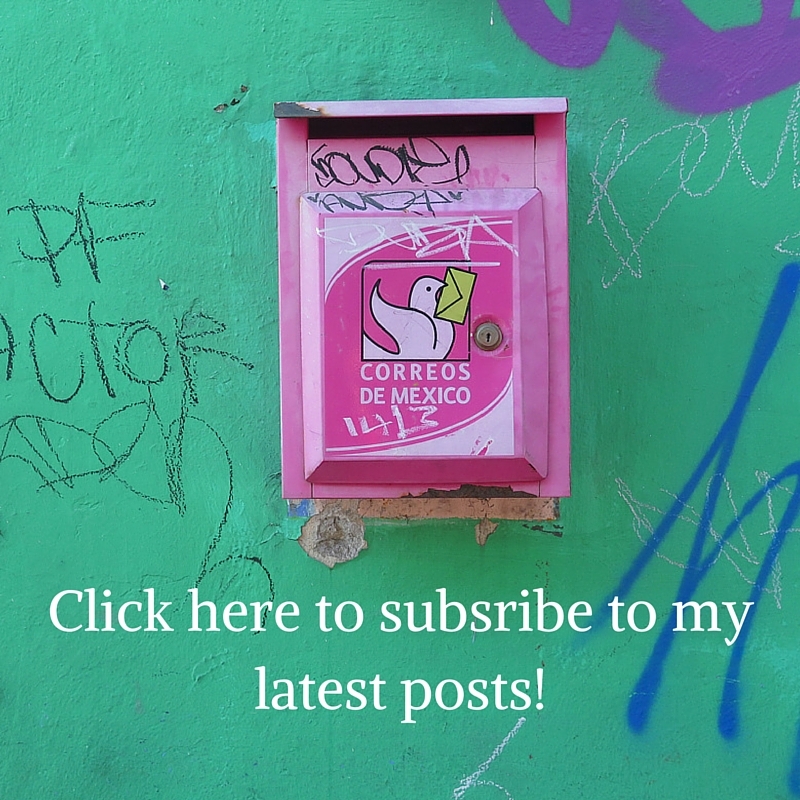 Although this is a sponsored post, as always, all opinions are my own! I’m glad I’m not the only one who forgets the most important thing to pack: a host/ess gift! I’m guilty of running through my hometown (Pittsburgh) airport to find a perfect gift as well. 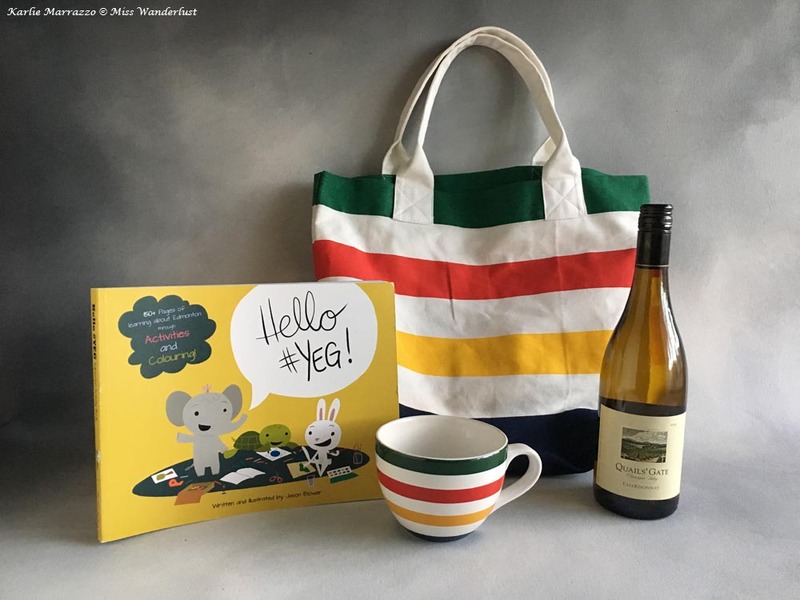 I love your gift ideas, I feel if someone gave me a bottle of wine and an activity book I’d welcome them back anytime they wanted to visit! Nice little guide. This is helpful for someone like me who is always looking to spend my leftover local currency last-minute in the airport. Those colouring books are so cute! I also love the spiral display of that 99 novel! Also, I’m curious to met the person who buys that scotch! That’s quite the bottle! I wonder how it tastes. 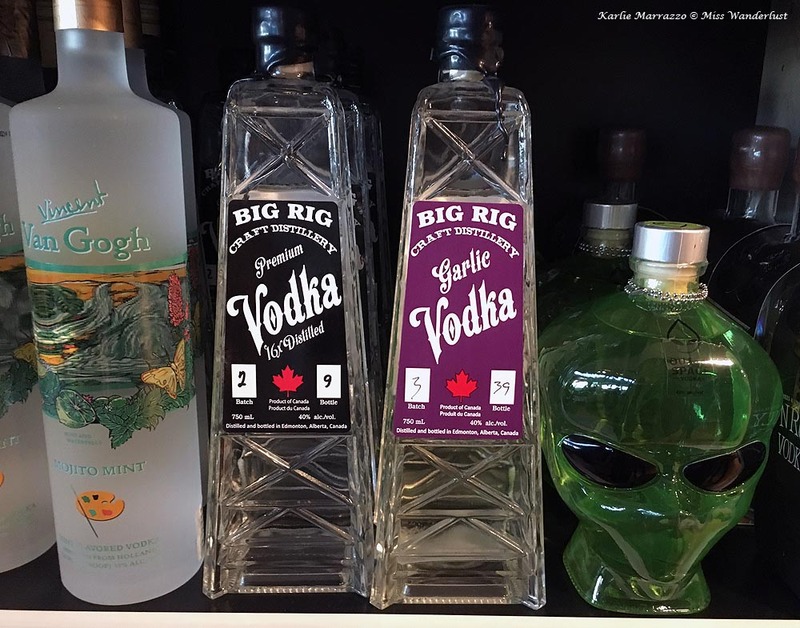 In all honesty, I would probably buy that Alien bottle of alcohol for the novelty! Can’t believe there’s a $38 000 bottle of scotch casually sitting in the airport hahah. I wonder if anyone has ever bought a bottle! I don’t know if you know, but Big Rig Distillery has tours and free tastings at their shop in Nisku. I went one day on a whim and it was fantastic. Their garlic vodka makes for a delicious Caesar (a drink I usually don’t care for), and their Double Double (basically like Baileys) is heaven. That in some coffee and your in heaven. I really do love shopping at airports! I always forget to buy gifts for at least one person, so airports are the perfect last minute stop!